The stock markets can flip in seconds. That’s precisely the reason why you need a next generation powerful trading app to keep pace with the markets. The all New Phillip Pro Trader Android & iOS Trading App by PhillipCapital India Pvt. Ltd. provides rich user interface with touch feature which eases the end user to use functionalities and easier to navigate with latest markets update, ideas, real time charts, and much more. It will redefine your investing experience. 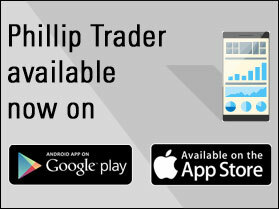 With Phillip Pro Trader Android & iOS trading app, you can never miss a good trading or investment opportunity. Now with Phillip Pro Trader you can trade from anywhere across all leading stock and commodities Exchanges in India. To know more, please fill in the details & we will get back to you.